Hello Visitors today i am going to IoT Open Source Development Tools And Resources. Open-source means denoting software for which the original source code is made freely available and may be redistributed and modified. Before we tell you about the Internet of Things (IoT) open source development tools there is something else you should know first. With IT sector cashing on the hype created by the predictions from likes of Gartner and Cisco that claim that by the end of 2020 more than 50 billion devices will be connected by IoT, all of a sudden everyone wants to be the part of Internet of Things. Well it is no wonder that you are also looking forward to be part of soon to be a $1.9 trillion industry. One of the most important things to understand about how open source software is a good fit with IoT is in the approach. Think of open source as a little bit like crowdsourcing information. Take Wikipedia, for example; the idea is that with numerous sets of stakeholders with different experiences, interests, and expertise, all working on the same problem, the outcome will improve. 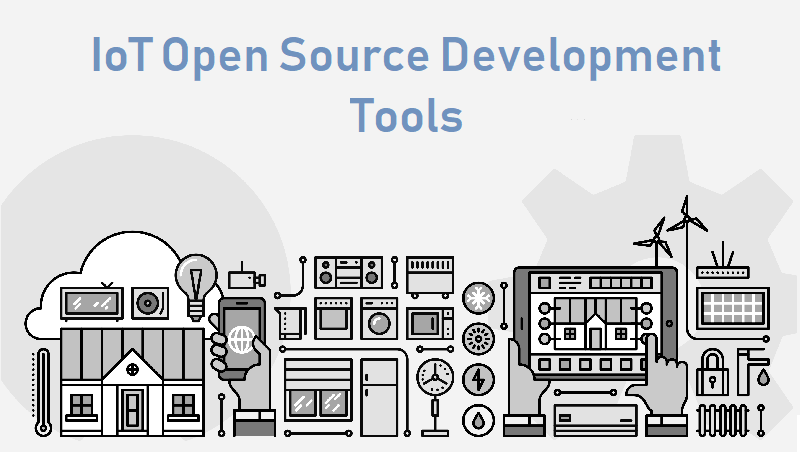 Open source Development tools are so popular because your device or application can support numerous vendors as you will not be developing code for any specific vendor. We provides a list most widely used and reliable Open Source Development Tools And Resources for IoT. Anyhow if you are aware of any tools that are relevant in this context not listed here, please feel free to mention them in the comments below. Middleware facilitates communication between the ‘Internet’ and the ‘Things’. OS Selection should be based on the application level, API requirements and hardware needs. Here are the top IoT Operating Systems to choose from. Next in the list of IoT open source tools is the integration platform you will be interested in selecting. We have done the best we could to curate this list of best IoT open source tools and resources. Anyhow if you are aware of any tools that are relevant in this context not listed here, please feel free to mention them in the comments below.